The older I get, the wiser I seem to be. Okay that's a lie. But, I am learning to take better care of myself. I try to hit the gym (as much as I can). I eat as healthy as possible (and indulge here and there). And as of late, I've been trying to take much better care of my skin. With my 10 year high school reunion around the corner (10 years.. really?!?) it's becoming even more apparent how much I need to take care of my body, mind and soul. 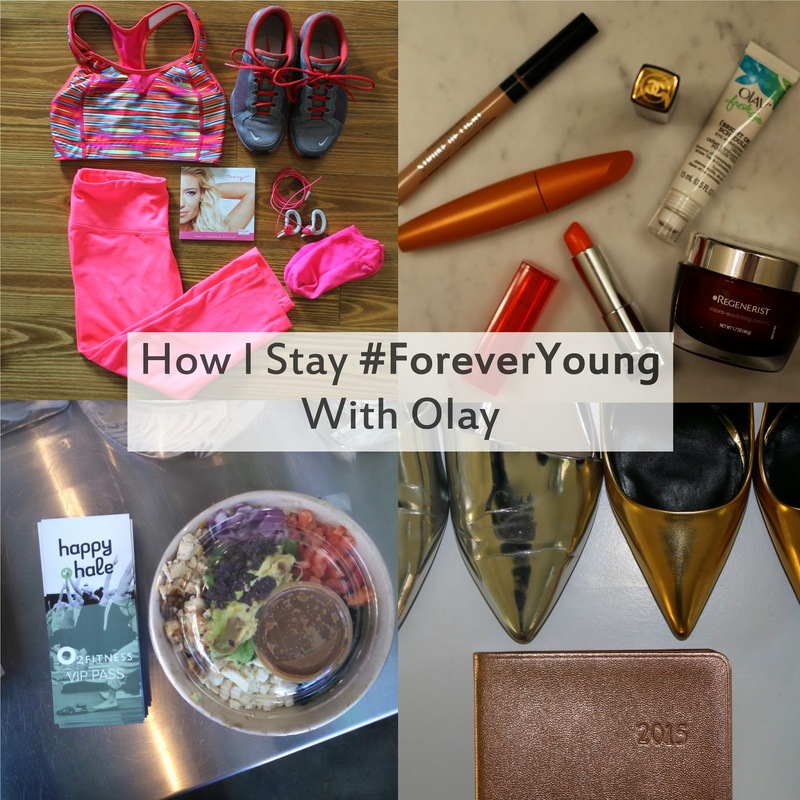 So when Olay asked me to share my secrets to staying #ForeverYoung, I thought about my everyday habits that do just that. It may be hard to keep a consistent routine, but I'm learning more and more just how these healthy habits create a better me, from the inside out. And when Olay sent me a sample of their Regenerist Micro-Sculpting Cream, I knew this would be a great opportunity to start fighting the wrinkle war. I definitely have my skin issues. As I've gotten older, they've evolved into new issues. I'm more prone to sporadic breakouts (instead of all over) as well as oiliness and dryness. But after only 1 week of using this Olay Regenerist Micro-Sculpting Cream, I have definitely noticed my skin is firmer, especially around the eye and lip area. Normally my face is so dry during the winter time, so it's practically drinking in the cream, and saying thank you by giving me an even skin tone that kind of glows. 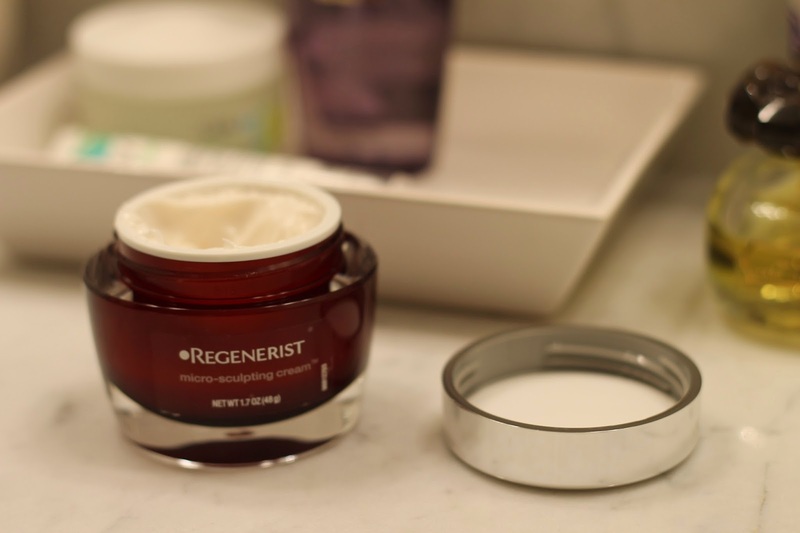 Check back in with me to see the rest of my results as I continue to use Olay Regenerist. I wish I could say there was one miracle-end-all-be-all beauty product that kept you looking and feeling forever young. But since there's not, here are a few everyday ways that I try to keep myself feeling my best "Me." I'll admit that when I go to use gym equipment, I have zero clue what I'm doing. And I probably look like it as well. This is why I'm a huge proponent of group classes. You can pick the type of work out, yet still have someone tell you what to do (and why you're doing it!). Because I have to pay attention to the instructor while doing the moves, I always feel like my mind gets a workout too. It's even more fun if you grab a friend to join you. Who else are you going to make faces at in the mirrors? Thankfully I'm a huge veggie lover. Like ridiculously in love with them. But there are a lot of people who aren't - and that's okay! Then you should be juicing/making smoothies. It's a great way to get those nutrients into your body, while masking the flavors you don't like. Plus, if you start your morning off in a more healthy way, you just might continue to make better choices throughout the day. me to get up, check my email, look at Instagram (often in bed! ), watch the news, fix some tea and breakfast. Basically, that 30 minutes gives me time to just wake up. I feel less rushed when I'm actually getting ready for the day because I've been up for 1/2 an hour already. 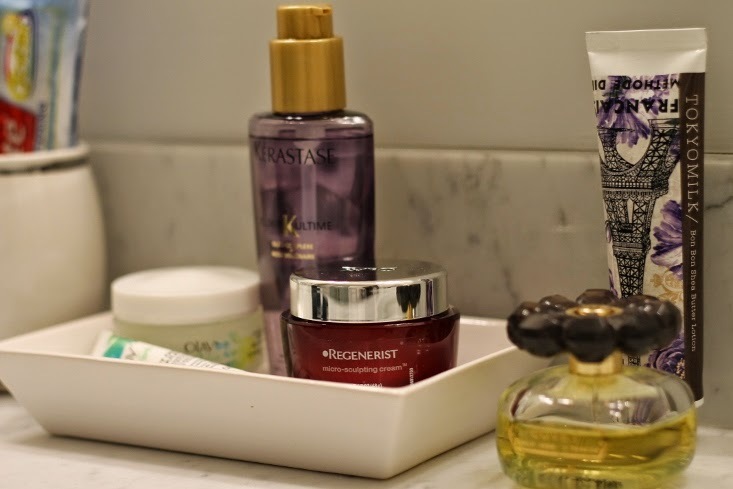 I don't know about you, but if I miss washing my face a few times or forget to moisturize, I definitely notice a difference. So for me, it's really important to not forget to keep up with those daily regimes, no matter how mundane they might be. If you didn’t already know, my motto is “Wear Something Sparkly Every Day.” It just makes life more fun. Whether it’s a rhinestone necklace, a sequined tee, or just a pair of metallic shoes, I love glittering and shining in one way or another. If sparkle isn’t your jazz, you can always incorporate metallics into your accessories like a planner or your iPad case. In order to stay feeling young and vibrant, it's important that you keep changing and evolving. Take a painting class (with a girlfriend and glasses of wine). Join a run club (that meets afterward for dinner). Get certified in something that scares you (I'm in the midst of learning how to be an instructor for classes at my gym). If you do something that is out of the ordinary, you'll discover something new about yourself. So there you have it! Some #ForeverYoung beauty and life tips to keep not only your skin, but your body and mind feeling youthful, fresh and beautiful. What do you do to keep feeling #ForeverYoung? *Based on Nielsen data week ending 2/1/14. Disclosure: Compensation was provided by P&G via Mode Media. 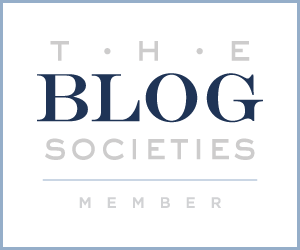 The opinions expressed herein are those of the author and are not indicative of the opinions or positions of P&G.